Chloe Pontreau in Editor's Picks Fashion & Beauty on 7 December, 2016. So December is well and truly here. Christmas is coming. Everyone’s thinking about one thing and one thing only: buying Christmas gifts! Without a doubt either you, or someone you know, plans on buying clothes for someone this Christmas. So, let’s talk about fast fashion and its consequences. For those who don’t know, don’t worry; the term is a relatively new one. It is used for those fashion retailers that producing a high turnover of items in order to refresh their collection often. This means that instead of having only one winter and one summer collection, you will find new garments every month, or even more so for some retailers. The most famous fast fashion retailers are Zara, H&M, Peacocks, Primark and even Topshop. The phenomenon is quite new and stems from the fact that people always want more, consumers’ desire for new clothing is constantly increasing due to the mass consumption. Plus, we need to acknowledge forecasted and/or built-in obsolescence or ‘outdatedness’ of items within the fashion industry. High profile models are constantly replacing their old outfits with those from Fashion Weeks in order to accelerate new trends. Further to this, fast fashion retailers are not the ones creating the trends themselves. They are waiting for the trend to be created by haute couture or luxury companies and, once they have the basics (colours, form, material, …), they can ‘copy’ and produce a fashionable item extremely quickly. This supply chain and way of producing and creating clothes allows for more reactivity and that is why fast fashion companies are able to produce far more clothing than others. By skipping the creation stage, they have more time to produce. Plus, the production cycle is cheap. Thanks to this way of producing, items enter the market with a low price. And, as everyone knows, new and cheap is the winning combination for pushing consumers to buy more and more products. 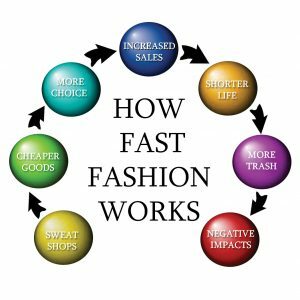 Fast fashion allows for greater choice for customer as well as lower prices. These two positive aspects are not the only ones. In fact, the trend is rendered profitable for companies too since fast fashion allows for a quicker answer to the market demands. Zara is a fashion retail chain of Inditex Group, owned by the Spanish businessman, Amancio Ortega, who also owns brands such as Massimo Dutti, Pull & Bear, Oysho, Uterqüe, Stradivarius and Bershka. Zara is a fast fashion retailer because it needs just two weeks to develop a new product and get it into stores, compared to two-month industry average. Unlike similar apparel retailers, Zara controls most of the steps on the supply chain: it designs, produces and distributes all its own goods. Zara is a fashion imitator and focuses its attention on understanding the current fashion trends, which is what customers want, and then delivering it, rather than promoting predicted season’s trends via fashion shows and similar channels of influence, as traditionally done by the fashion industry. What distinguishes Zara from its competitors is the feedback that their managers get from the customers themselves at the point of sale in the stores about new clothing lines they are interested in. Store managers relay these customer demands and sales trends to the headquarters on a daily basis. Members of the design group use the feedback to create new articles or to modify existing goods and then deliver the items to the stores. All Zara stores receive goods twice a week and each shipment contains new products. These frequent shipments also avoid the need for large inventories. In the stores, around 60% of Zara products are permanent and the remaining 40% vary continually. Zara launch about 30,000 model items annually compared with 10,000 items for its key competitors. If a design doesn’t sell well within a week, it is withdrawn from shops, further orders are cancelled and a new design is pursued. No design stays on the shop floor for more than four weeks, which encourages Zara fans to make repeated visits. So up until this point, everything sounds great? I need to get down to Zara, you’re thinking? Me too! However, keep reading and you might change your mind just as I did. The first and biggest issue caused by fast fashion is damage to the environment. The textiles business is the second most polluting in the world, after that of oil. As I said previously, fast fashion is about consuming more garments, which means higher textile consumption as well. This consumption key in causing pollution: it requires more transport, higher use of raw material and massive consumption of water. For example, producing a pair of jeans consumes hundreds of litres of water, pesticides, detergent, transport – it will be travelling thousands of kilometres before being in any shop. Concerning water, the production is not the only cause of pollution. Washing your jeans will release chemical products, and so cause further water pollution. Furthermore, most garments end up in in the bin: very few are donated or recycled. For example, Americans donate or recycle only around 15% of their unwanted clothes. The second biggest issue regarding fast fashion concerns human wellbeing. Fast fashion producers are absolutely unconcerned with the machines they are using since cost efficiency is their focus. They do not really care about the health of their employees or about the risks and consequences that the use of these kinds of products will cause. For example, to complete the production of a pair of jeans, two chemicals are often cited as potential health risks: potassium permanganate and sodium metabisulphate. The first one is a powerful oxidizing agent. The second one is another bleaching agent, which is used as a neutralizer to turn those brown areas caused by the first product closer to a shade of white. It can irritate or burn your skin or eyes if you come into direct contact with it. Plus, it can irritate your respiratory tract, causing asthma-like symptoms. Ingesting it may cause nausea, diarrhoea, and other gastrointestinal problems while contact with the skin can cause redness, pain and itching. The lack of proper ventilation systems, protective gear (such as goggles, masks, and gloves) and adequate procedural training for factory workers makes the use of these chemicals extremely harmful for their short-term and long-term health. Most employees do not have access to such protective materials. 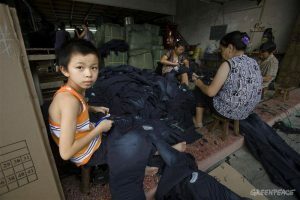 This picture comes from a factory in Xintang, China, which is known as the hub of jeans’ production. There are lots of factories which are producing jeans over there but only a few of them faithfully respect the health of their employees. Furthermore, as you can imagine, workers in China are not well paid. They are sacrificing their lives for you to be able to wear cheap jeans. Some low-paid workers in Malaysia protested for more rights and higher wages. This demonstration led to several deaths and no improvement whatsoever. No one in Europe heard anything about it, no repercussion was caused in the clothes industry. In short, people died and nothing changed. Despite fast fashion being a new phenomenon, a lot of people have already found solutions to fight the process. One example of it is to create new events. Events in the fashion industry are really important because they have a massive impact into consumers’ minds and are hugely promoted and followed in the social medias. Smart Fashion Week in Paris promotes the idea that it is possible to buy ethical products for a low price. 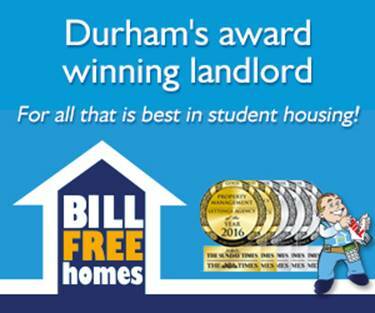 This event was a success in 2016 and will be held once again in 2017, in the beginning of April. However, daily life consumption is what really matters. That is why you need to know how to choose the materials of your clothes. Always look at the label of your clothes! Conventional cotton – which uses a lot of water and pesticides to be made. In order to avoid these, try researching independent designers. Most of them are really careful about the “made in” label. Obviously, organic materials are the best concerning the environment and human impact. The prices are little bit higher but still reasonable compared to high-priced fast fashion retailers. And how to find them? I advise you to have a look at the Sustainable clothing action plan (SCAP); many designers are signing on to make a change. 300 retailers, such as ASOS, Arcadia, F&F, George, M&S, Debenhams, and so on… have signed up to be part of the Sustainable Clothing Action Plan, which includes producing, selling and disposing of waste without damaging the environment and working with countries with strict labour regulations. The SCAP is a collaborative framework and voluntary commitment to deliver industry-let targets for reducing the use of resources in the clothing industry. Figures released in 2015 show that retailers, brands and organisations from across the clothing supply chain have reduced water impacts by 12.5% per tonne of clothing, against a 15% reduction target by 2020. They are also making progress to cut carbon impacts, having achieved a 3.5% reduction per tonne of clothing against a 15% reduction target. Good luck and have fun shopping for your ethical Christmas presents this year!